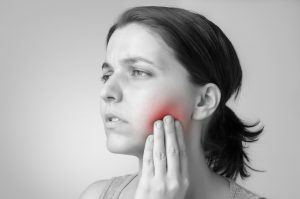 Intense dental sensitivity and swollen gums frequently indicate infected tooth pulp. Root canal therapy in Virginia Beach is a comfortable alternative to tooth extraction. Also called endodontics or “ a root canal,” this restorative treatment extracts diseased inner pulp and crowns remaining tooth structure to protect it for years of additional service. Dr. Stephanie L. Santos and Dr. Vinita John Volck of Smile by Design perform endodontics to restore smiles to health, function and great aesthetics. While infection and decay may be too advanced to save a tooth, root canal therapy has spared millions of teeth for many generations. It removes a tooth’s inner pulp and crowns the remaining hard structure. The adult tooth functions well without the nerves, fibrous tissue and blood supply in the interior chambers, or root canals. To start off, the dentist ensures the patient’s comfort by numbing the area with local anesthesia. A rubber dam placed around the tooth keeps the area dry and debris-free. The doctor drills a small hole into the tooth to access the root canal. To extract the pulp and clean the canal, she employs small files of increasing size. When each root canal is clean and smooth, she instills antibiotics to heal the infection and seals the chambers with gutta-percha, a natural, rubber-like substance. A temporary filling covers the tooth.This procedure takes about an hour. While recovering at home, the patient eats a soft diet for a day or two and takes antibiotics as prescribed. Over the counter ibuprofen treats any lingering discomfort. After a week or so of healing, the patient returns to Smile by Design to receive a custom-fabricated porcelain crown. The crown supports, protects and beautifies the tooth. Aftercare of a tooth treated with root canal therapy in Virginia Beach includes brushing and flossing twice a day and semi-annual check-ups and cleanings. The American Association of Endodontists says that 17 million root canal treatments are performed annually in the US with a success rate of about 95 percent. Also, endodontic therapy stops pain and other difficult symptoms of dental disease and injury and avoids the problems associated with tooth loss (smile gaps, jaw bone and gum recession, poor chewing, and slurred speech). If you have some of the symptoms mentioned, don’t hesitate. Contact Smile by Design for an appointment. The doctor and her staff take your comfort and health seriously. Expect caring treatment and excellent results for your smile.